I am interested in what everyone thinks they will be doing going forward! There are only 15 channels I really have to have: ABS NBC CBS FOX FOXNews Discovery Animal AMC PBS HISTORY. Looks like for me either U tube Tv or Hulu. Not sure which one would is better. DVR is very important to me. Anybody have any suggestions? Does anybody know it ChannelsDVR works with any of these streaming providers? Have really found Channels Very Very good! Aman any suggestions how I can use Channels with any of the streaming services? Forgot to mention the following service that allows you to pick the channels you want and will show what streaming service is best for your channels! Suppose lets you select your favorite TV channels, searches billions of combinations of cable, satellite and streaming TV services, and finds the best for you. Just saw SDs official notice. Sad.... I have been using Hulu as it allows Single Sign in on AppleTV, and I use Hulu anyway. I don't tend to watch live through them... May have to learn how. We are a YouTube TV household. Have been very pleased with it. I just got the email from Silicondust too... I’m super bummed. Channels + SD Premium TV + Channels DVR was the perfect combination. I should have know it was too good to be true. I suspect the cable companies had some hand in the abrupt end of the service... probably some litigation over territorial rights. I have the HDHomerun Quattro OTA box and the HDHomerun Prime box with a cable card but virtually all the cable channels were DRM protected with Optimum, so the card was useless to me. I cancelled the cable TV but still use their the cable modem. I’m not sure what I’m going to do going forward. I love the Channels interface on Apple TV and will continue to use it for OTA channels but I doubt other streaming services will integrate with Channels. I tried DirectTV but it was too flakey. It would freeze up, switch to SD resolution and then back to HD in mid-show. I’m open to suggestions too but will never go back to renting cable boxes again! It’s gotta stream on my Apple TVs. I was hoping Apple’s recent announcement would include a live cable TV streaming service but it was just more integration of streaming apps into the TV app. We tried Sling for awhile DVR sucked. But switch to Philo. Love it . Great interface and DVR and commercial forwarding. What do you mean when you say commercial forwarding? I have Philo and can only skip commercials by clicking the FF several times. I'm going to give AirTV a try. It will combine OTA channels with cable channels from SlingTV. Take a look at this youtube video explaining the setup: https://www.youtube.com/watch?v=bWQlpA_ANnk. I think that's only using its own tuner, not a separate network-attached tuner. They have both options. Separate network-attached tuner is the first item listed here: https://www.airtv.net/products/. I can use that with my Nvidia Shield. So that's integrating their own hardware into their own app. In that situation I'm even more convinced that their guide solution is only using their tuner for OTA channels—much the same as FireTV's unified guide includes disparate streaming services, but only their Recast product for OTA. Yes, you can only combine AirTV OTA channels with SlingTV channels. You don’t have to use the AirTV Player though. You can use any device that runs the Sling app (which has wide device support). YouTube TV is much better than Hulu if both services have all the channels you want. YouTube TV allows unlimited DVR recording and doesn't charge you $15/mo. extra for a DVR package that actually lets you fast forward through commercials like Hulu does. First off let me saw that I love the Channels DVR service/app and the amazing support of the development team here. The responsiveness and the quality of the service has been phenomenal. 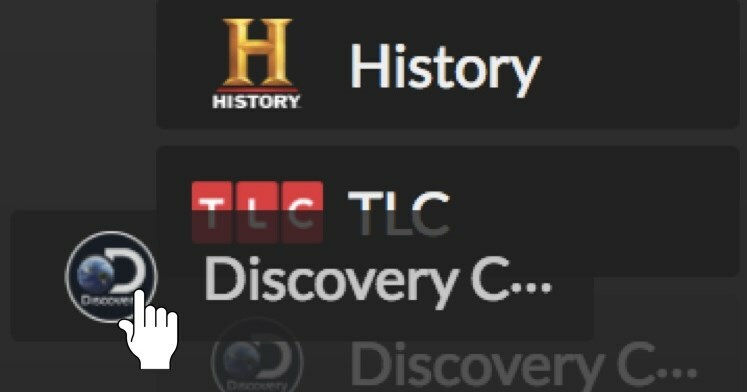 Unfortunately I'm in the same boat as most here, looking for an alternative to HDHomerun Premium Channels BUT that also integrates with Plex. Anyone found a provider that works similarly to HDHomerun Premium in this respect ? Unfortunately, I don't know of any legal services that would work the way you want. I actually sat down over the weekend and did some math regarding the shows we watch. 80% of what we watch comes to us via the major networks (NBC, CBS, ABC, FOX and the CW). I am in a fortunate position that we live about 15 miles from the broadcast towers that are located across Tampa Bay and I live in a 3 story townhouse. So, all my channels come in with 100% signal strength with the exception of the CW which rides around 80-90% and doesn't pixelate at all. The cable only shows we watch number at 8. I found out that it is actually cheaper for me to buy a season pass to this shows via Amazon Prime or Vudu or Google Play (I shop because each service sometimes charges a different price for the season pass - great example is Cloak & Dagger was offered to me for 4.99 on Amazon Prime for the Season 2 pass!). Everything else comes on either Netflix or Amazon Prime (their originals) and my once per year cost of getting HBO Now to binge watch the 3 shows I like from them. I wait until those seasons end and then bang them out all at once. I did this because Youtube TV (which I had decided I would use before) went up on their monthly price. I end up saving about 100.00 this way vs. paying YTTV a monthly fee. Some advantages of this: Between Channels DVR ability to skip ads, no ads on my season passes, Netflix, Amazon Originals or HBO originals I never have to worry about commercials! Yay! One disadvantage is that our shows are sort of spread out among several different apps so sometimes it's a chore to keep up with everything. However, Trakt TV helps out with that a lot. Anyway, that is my latest setup. Who knows, it may change next month, but that is what I've got going on currently. Or just stop watching the cable channels and find new shows you like on the major broadcast networks. These are generally bigger budget, higher quality airings, at higher bitrates. I haven't had cable in years, and don't miss it at all. I am thankful to have never used the garbage that was HDHR Premium TV. I am sorry for anyone who is caught up in this imbroglio.... but I don't think it was even worth it when it worked.